Home > Misc > See All Products > See All Dog Products > Antioxidants for Dogs > VetriScience Cell Advance 880 - Antioxidants for Dogs - 120 ct. 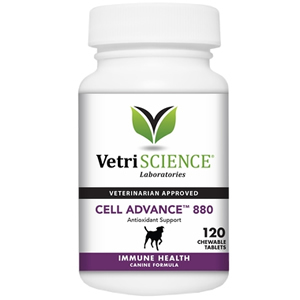 Cell Advance 880 by VetriScience is an antioxidant supplement for dogs that suffer from allergies, respiratory problems, skin disorders and other conditions associated with aging. 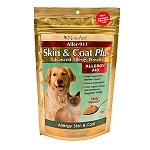 Cell Advance 880 is recommended to help support the immune system and can be beneficial for dogs with allergies, respiratory problems, skin disorders and many conditions associated with aging. Cell Advance 880 contains 120 capsules and is for medium to large dogs. For small dogs and cats, see Cell Advance 440. My Doberman has grapefruit size tumors (2) but are not painful to her. These tumors are a hard type. I bought the antioxident tablets to see if it will shrink the tumors and I believe it is. They seem to be half the size in a little over a month. I'm also feeding my dogs 4Tbs. of coconut oil a day in their dry food. She has her yrly checkup the end of this month so will see how things are til then. Alpha Lipoic Acid - 20 mg. 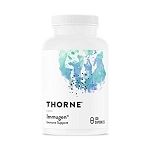 This formula contains Rutin which inhibits platelet aggregation, therefore acting as a blood thinner. If your dog is on a blood thinner, we do not recommend giving Cell Advance 880 to them. See Small Animal Antioxidant as an alternative.